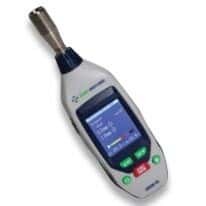 Particle counters are useful for providing valuable measurements of particulate sizes and concentration levels. These handheld instruments are ideal for monitoring particulate concentrations in controlled environments like clean rooms. We offer particle monitors that can display particle count totals of multiple particle sizes at once or provide results within seconds.